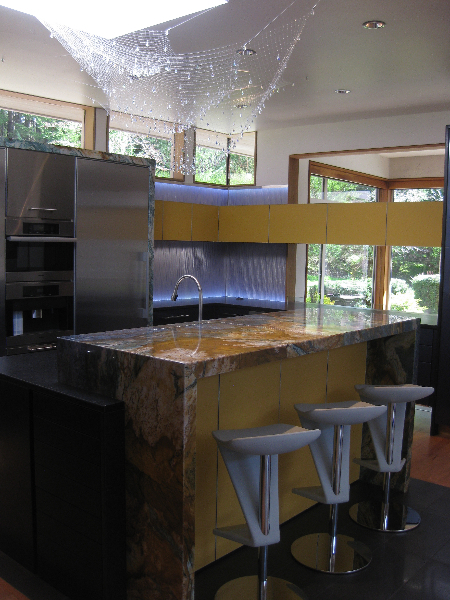 The Granite Gurus: Designer Spotlight :: Smithdesigns. 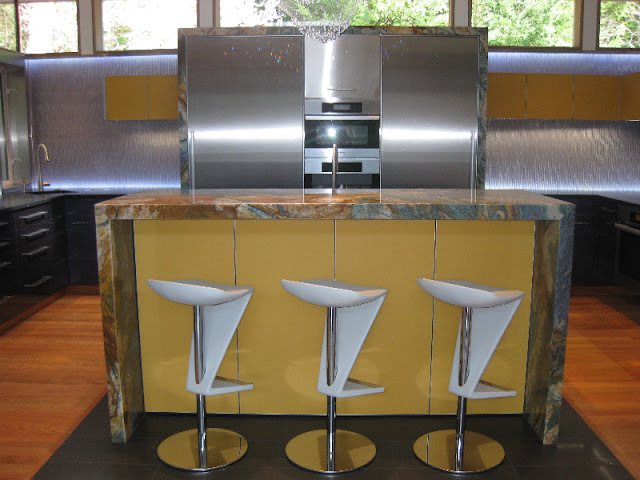 Kitchen with Blue Louise Quartzite. Designer Spotlight :: Smithdesigns. 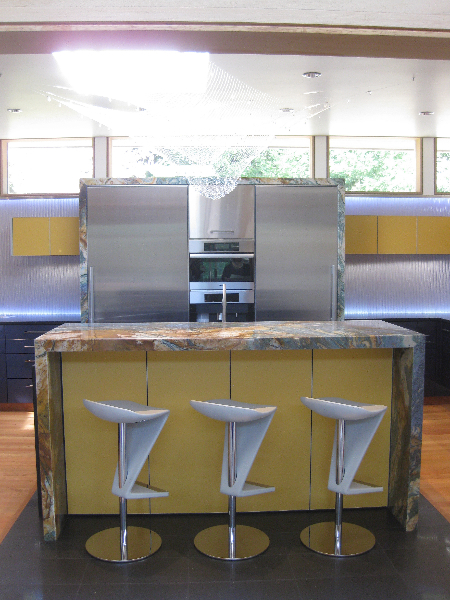 Kitchen with Blue Louise Quartzite. 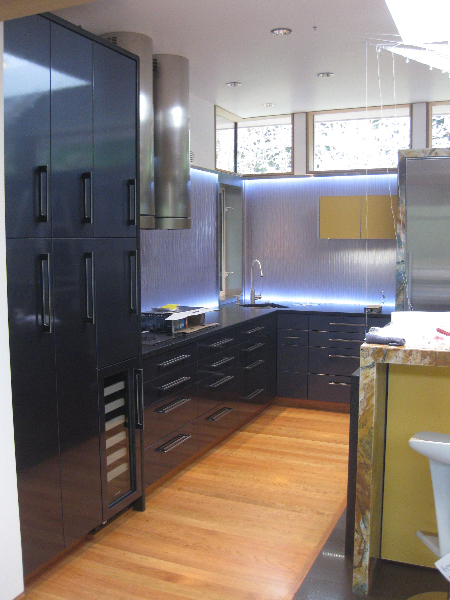 Smithdesigns is an Interior & Architectural design firm located in Victoria, BC. I recently "met" Rich through our blog when he commented on one of our posts and mentioned that they had used Blue Louise quartzite in one of their recent kitchen remodels. When I checked out their blog I was completely awestruck. This kitchen is stunning, unique and so well designed. I fell in love and asked Rich if I could feature the kitchen here on our blog. 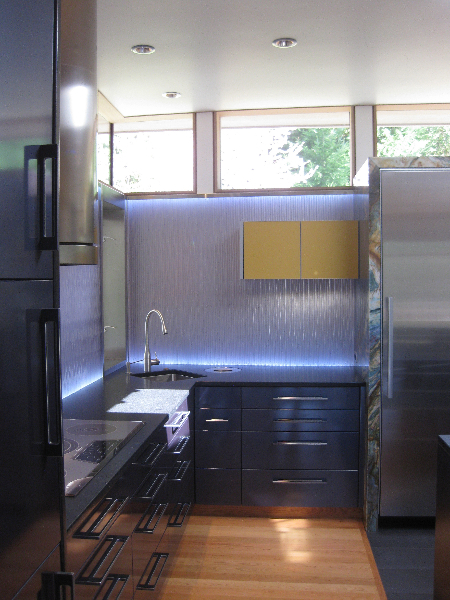 From Smithdesigns blog..."We started this project with a high-end existing kitchen. It was well-used and well-loved but dark. A pantry storage area separated the kitchen from a stairwell flooded with natural light and views to the garden, while the copper-clad cabinets obscured most of the light from the transom windows." The stone on the island & around the appliances behind it is Blue Louise quartzite. These slabs are absolutely stunning. I love how they used the quartzite in a dramatic way to spotlight it's beauty, but they didn't go overboard by using it everywhere. Plus, I'm a sucker for the Waterfall edge. 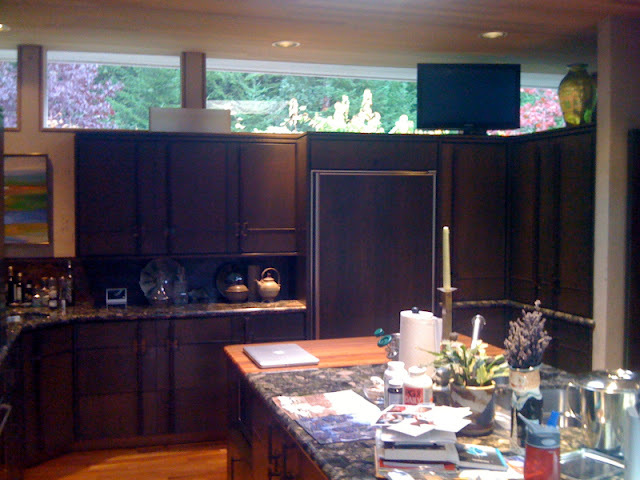 I think it was so innovative to use it not only on the upper island counter but to also 'frame' the refrigerators. The rest of the countertops are Cambrian Black granite. 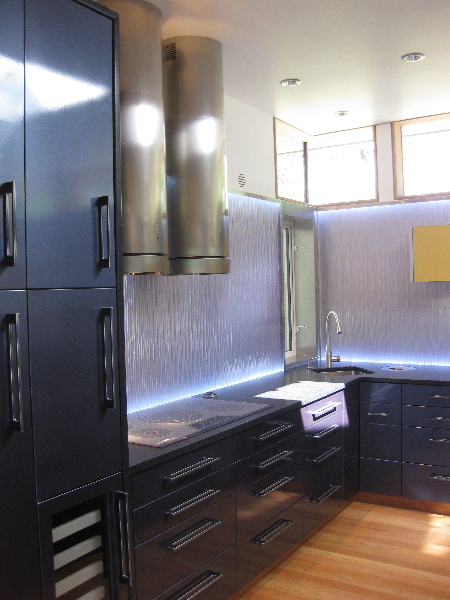 The backsplash is illuminated by LED tape light, recessed in a groove at the back of the Cambrian Black granite countertop. The material is Varia Ecoresin by 3-Form, which is actually made here in Utah! I want to give a big THANK YOU to Smithdesigns for letting me feature this kitchen today. Be sure to check out their blog here. They have more pictures of this stunning kitchen, but you'll also want to catch up on their older posts, they have pictures of some really amazing projects!